Leaking or overflowing sewer is like a nightmare. We would never wish to wake up any morning just to see a sewer issue beyond our control. These plumbing and sewer problems come in all shapes and sizes. In Ohio, you can get in touch with local Sewer inspectors to make things easy. Well, you may think why you need it or why will you need it? The fact is that any home which is more than 10 years old should undergo regular sewer inspection. A local trained sewer inspector can assist with sewer and other plumbing problems. Sewer problems potentially build up underneath when ignored. Being a homeowner is a job of responsibilities. Every homeowner has to deal with multiple housekeeping challenges and sewer maintenance is one such tedious yet vital task. As a sensible homeowner, you must know that maintaining your home sewer line is your responsibility. Homes are immune to sewer problems whether they are old or newly built. However, old homes in Ohio do demand more sewer scans as compared to the new ones. Sewer damage in residential or commercial space demands a huge sum of money for repair. A broken or root infested sewer system can bring a lot of damage to the value of any property. To avoid investing a fortune in sewer cleaning you must invest in regular sewer inspection. In fact, before buying any new property it’s essential to get a sewer inspection done by local experts. What happens during a sewer inspection? Sewer systems inspection is done by trained professionals who mostly belong to a good plumbing company. 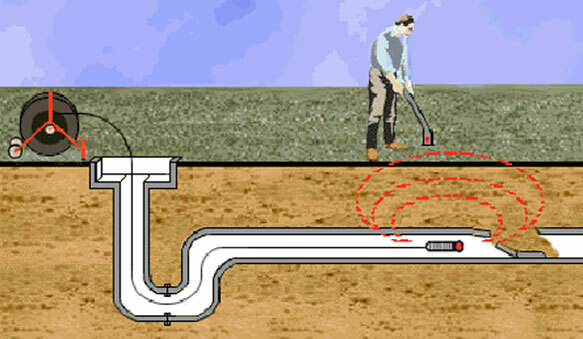 The most common method used for sewer inspection includes using a camera that is attached to the head of a long cord. For a detailed observation, the feed is projected on a monitor while the camera moves inside the sewer. This inspection is crucial to find out any fault or troubles that could possibly become the cause for sewer leakage or sewer overflow. Why do we need regular sewer inspection? 1. Huge cost involved in repair- Sewer inspections are performed very quickly and they are inexpensive as well. The time, effort and cost involved in a sewer repair vary. It depends on the type of sewer problem the house has. We all know that prevention is better than cure and that’s true for our home sewers as well. Most of the insurance does not cover sewer line replacements and these replacements are exorbitantly expensive. Apart from the cost factor, sewer maintenance is an extremely messy and troubling experience because of the leakage of very toxic sewer gases. 2. Tree roots cause sewer damage- Roots keep searching for water and nutrition source. That search leads them to sewer lines. Small roots can easily enter into the sewer line through any small opening. Later they expand inside the sewer, causing flow blockage and severe damage if left unattended. Regular inspection becomes necessary for local people of Ohio if they have any tree or shrubs near their sewer lines. 3. Regular wear and tear – Wear and tear is an unavoidable part of any house. Older home sewers were built using clay, cesspools and art papers. These materials erode gradually over a long period of time. Thus regular inspection becomes mandatory for older homes so that any such wear and tear can be detected in time. 4. CCTV camera inspection– Most of the sewer cleaning company, Ohio use a high-quality video camera for inspection of sewers. These CCTV camera inspections tell you what step has to be taken next. If any blockage is detected you can go for sewer cleaning before it leads to overflow or any other severe trouble. You can ask for a quote from these companies in case any sewer damage is detected that has to be repaired immediately. Many companies offer inspection and cleaning services simultaneously. A reputed local contractor can assist you quickly in real turnaround time.